Teachers want students to learn. It’s one of the most basic reasons people go into teaching, and it’s certainly one of the basic expectations society has of teachers. However, supporting students to learn requires more than presenting information to them. Learning occurs more often, and more deeply, when students understand, retain, and are able to apply and use what they are taught, not just routinely, but in new and novel ways. 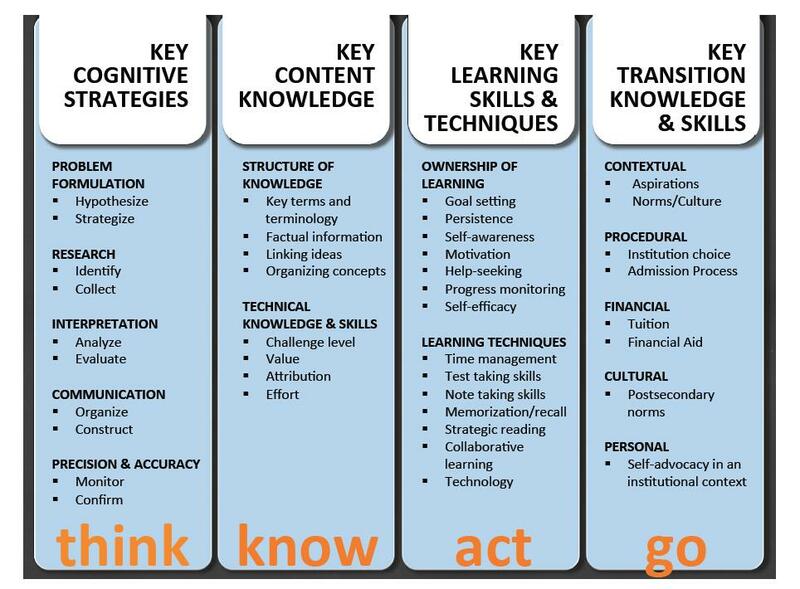 Getting students to these deeper levels of learning is a key goal of current education reforms and one toward which most teachers strive, but the path achieve that end may not always be clear. When students are motivated to learn, when they know that what they are being taught is important, when they can apply what they are learning to their interests and aspirations so they value what they are being taught, they do a much better job. Paradoxically the more material of a less challenging nature the students receive, the lower their performance level is likely to be. Teachers observing this phenomenon then determine that the best solution is to lower the challenge level even further, perpetuating this downward spiral of expectations. In fact, students can demonstrate their capabilities only if they are fully challenged and stretched beyond their comfort zones on a regular basis. If this happens only occasionally, students develop coping strategies to get them through the infrequent situations where more is asked of them, and they do not develop the kinds of cognitive strategies necessary for successful learning in academically demanding contexts. So what does that look like? Take a look at this assignment. Natural disasters affect people and society. Identify a natural disaster and describe its effects on civilization, historically and in the present. Be sure to describe the ways this natural disaster disrupts the economy and people’s lives. List three things that could be done to lessen the effects of this tpe of natural disaster in the future. Tell whether you agree or disagree with these types of ways to reduce the impact of the natural disaster you are describing. At first glance, it looks pretty good right? Here’s the trouble. It doesn’t give students a chance to develop and test their own hypothesis. In addition (aside for the evaluation at the end) it’s all about finding information and restating it. There’s no question about the strategies necessary to complete this task – you just follow the directions. Natural disasters have been a part of the human experience throughout history. Consider how this interaction with natural disasters might have shaped human society in specific ways. You may pick one type of natural disaster that best illustrates your point of view on how society might be affected by this type of disaster or you may compare and contrast the effects of different kinds of disasters. Identify means humans could adopt to deal with disasters and how, in doing so, this might impact how disasters affect society. Conclude with a discussion of your observations about the relationship between human society and natural disasters in which you offer insights and observations you have encountered in your research. In this example, students have to make several critical decisions in how to design their response to the task. The amorphous nature of the prompt requires strategic thinking about what steps they will take in their research and writing. Conley’s theory is that with continuous practice with similar and increasingly complex tasks, students will develop the skills they need to be prepared for college and careers. Flexible thinking skills (cognitive strategies) paired with a deep conceptual understanding of content and supported by a strong repertoire of learning skills (including student motivation and ownership) is Conley’s recipe for preparing students for what lies ahead. 1. How can we explicitly teach cognitive strategies? 2. To what extent do we scaffold learning experiences for students and to what extent do we let students problem solve, grapple with ambiguity, and fail forward? 3. Do the Common Core State Standards align with Conley’s model? What are the challenges and strengths of the standards in the context of shifting learning towards Conley’s vision?